P.S. This photograph was taken after Saturday’s market and after any feet marched over it. 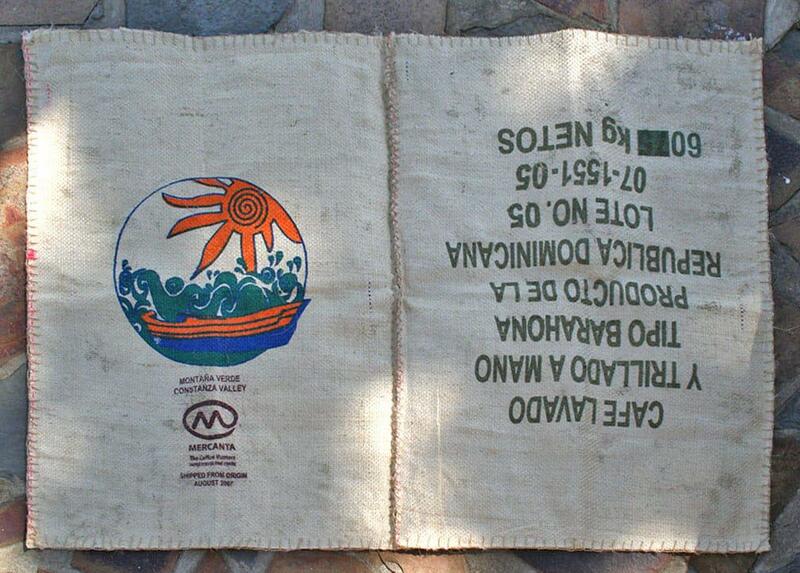 The coffee sack is portrait/lengthwise so I had to cut it in half and then stitch the two halves back together. After this I glued the jute coffee sack (using Jenkin Contact Glue) to some under-sheet plastic I had bought for the purpose. This was left to dry for a day. The carpet was then trimmed and Jeremy and I blanket stitched the edges. Mischief kept trying to catch the string I was threading. Jeremy also stitched and had mischief chasing his jute thread. 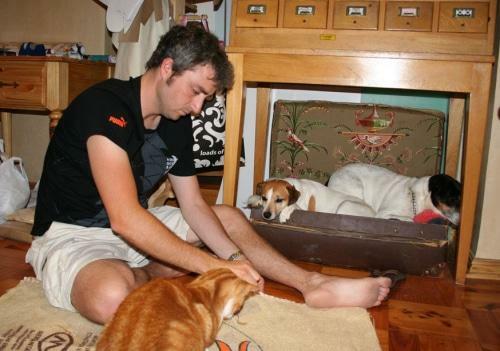 He also had an audience of Katie and Balue (lying snuggly in their pet suitcase). 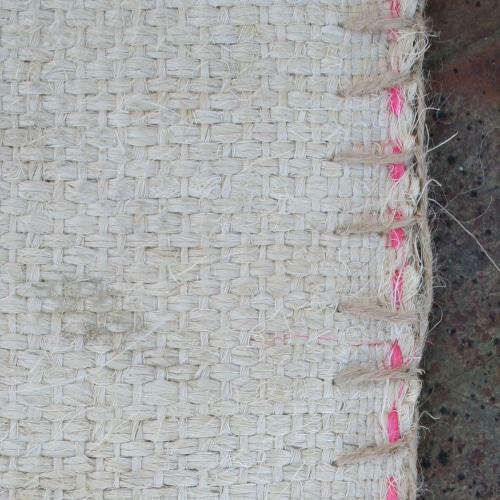 I loved this close-up shot of the jute carpet -below. 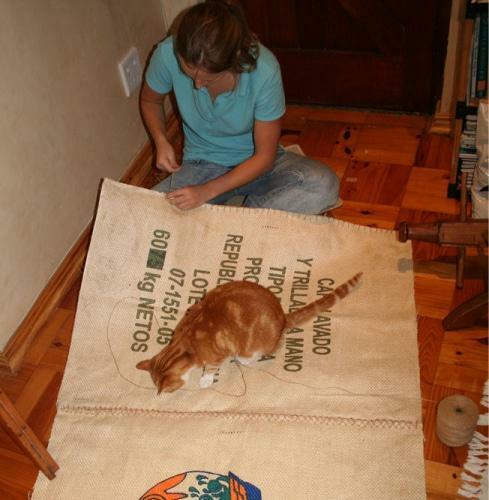 This entry was posted in DIY Projects and tagged coffee bag, coffee carpet, jute carpet, make your own. I love how Mischief â€œhelped outâ€ on your rug project. I was just talking with a neighbor about how cats like to do projects with us â€“ my cat growing up loved to play (more like sit on) cards when we played on the floor. She also loved when we came home from the grocery with brown paper bags for her to sit in. Anyway the rug looks great â€“ will it be a fixture at other markets? Great project and great work!